Final Cut 10.4.6 and iMovie 10.1.11 can detect potentially incompatible files and convert them to a supported format, according to Apple notes. Mojave will be the last macOS release with 32-bit compatibility, something the company announced at WWDC 2018 to give developers plenty of time. Most developers and filmmakers have likely been in the 64-bit arena for years, considering the inherent performance limits of 32 bits. 32-bit apps can't take full advantage of multi-core processors, and can only access up to 4 gigabytes of RAM — a serious barrier in an age of 4K and even 8K video. Some bugs solved in Final Cut 10.4.6 include disappearing share destinations and workflow extension buttons, the Select Clip command picking the clip beneath the playhead, relinked media sporting black thumbnails, and missing frequency data in Hum Removal. For both apps Apple is promising improved reliability when uploading to YouTube, where a good deal of modern video appears. The updates should be free downloads to existing users through the Mac App Store. 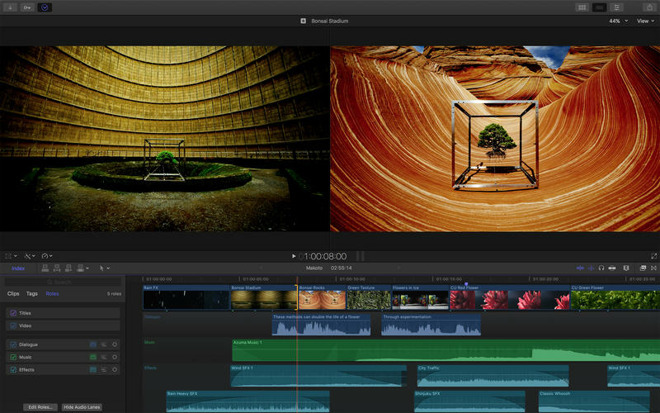 Final Cut Pro though is $299.99 new, and requires macOS 10.13.6 or later.